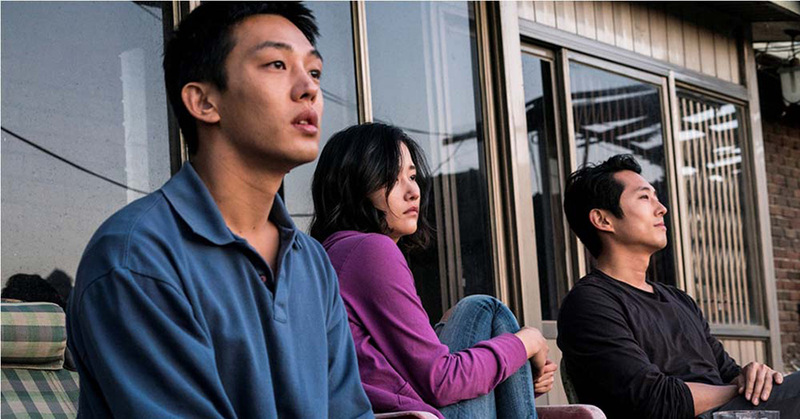 The film’s protagonist, Jongsu, reconnects with a childhood friend, Haemi. Jongsu’s world is bleak; his mother abandoned him when he was young, leaving him with his father who suffers from anger issues. He is a struggling writer with no future prospects. Jongsu is enthralled with Haemi’s curiosity and passion for life, and when she takes a trip to Africa, Jongsu feeds her cat and patiently awaits her return. Haemi returns from her trip with a new friend, Ben (played by Steven Yeun from the TV series “The Walking Dead”). Ben is handsome, smooth, and wealthy, and the contrast between him and Jongsu is startling. Haemi is enticed by Ben’s seductive lifestyle while Jongsu finds himself increasingly suspicious of the enigmatic Ben. Lee imbues Jongsu with the same rage he believes permeates society, especially for millennials. Like Murakami’s “Barn Burning,” the film ends on a mysterious note. The audience will seek answers in the ending, but no clear-cut resolution. Perhaps Lee means for his audiences to experience “the great hunger” as they search for the meaning of his film.